Abu Dhabi Fund for Development (ADFD) and the International Center for Biosaline Agriculture (ICBA) have signed a memorandum of understanding (MoU) to complete the construction of the Emirates Soil Museum in the Emirate of Dubai. The Museum, a distinctive facility and a unique hub for soil education, will be the first of its kind in the Gulf Cooperation Countries (GCC) and the Middle East and North Africa (MENA) regions. The MoU was signed yesterday on the premises of the Museum by H.E. Mohammed Saif Al Suwaidi, Director General of ADFD and Dr. Ismahane Elouafi, Director General of ICBA. Emirates Soil Museum, set to open by December 2016, will provide vital information on the critical role of soil in the natural environment. Moreover, the Museum will demonstrate the importance of soil in urban planning and how it’s the underlining measure to manage and secure food sources. The Emirates Soil Museum is an educational instrument for the UAE and a pivotal hub to increase soil public awareness in the society, will promulgate the wealth of soil knowledge extracted from extensive research and several soil surveys conducted across the country. 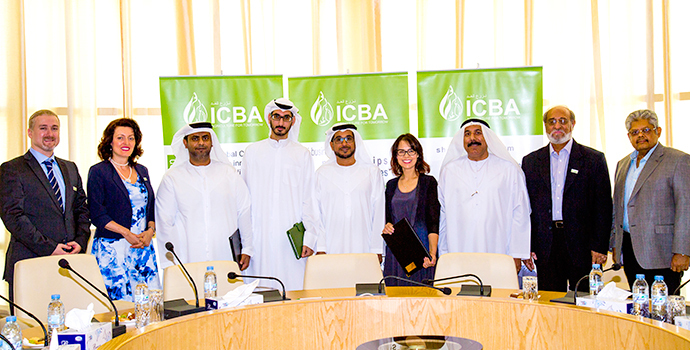 The partnership between ICBA and ADFD will help to make the Emirates Soil Museum a travel destination for a diverse range of international audiences and a unique establishment for the learning process of soil-related progression. The funding by ADFD will equip the exterior landscape with interactive learning features, enhance the interior exhibits with augmented reality, advance learning modules, develop an engaging and user-friendly website for children and cover operating costs for 24 months.